Yes, its been over a month. So much for posting more often in the New Year! (Happy New Year incidentally!) I returned from Ecuador on Jan 11th and I’ve been extraordinarily busy since I’ve been back. Spending so much time in front of the computer screen during the day, the last thing I want to look at while at home is the computer! The fact that many of my faithful readers are on Facebook now is also keeping me away from the blog. Is it worth keeping up the blog when most people are checking Facebook anyway? I guess it comes down to what you have time make time to update! Otherwise things are going well. The adjustment from 65-70F weather to the sub-zero weather in Chicago is taking some time. Having three weeks off also made it difficult to get back into the groove at the 9-5, finding motivation has been especially difficult. I do have to say that after our new Commander in Chief’s inaugural address I did feel impetus for this “new era of responsibility”. As such, I’ve been trying to find new ways to keep myself on task and organized. I stumbled upon Thinking Rock through a friends recommendation of another piece of software Things, which at the moment is Mac/iPhone only. Both are based on GTD “Getting Things Done” philosophy – something that I find works very well with my short attention span, and my propensity for having lots of ideas that fall through the cracks. There is a fair amount of a learning curve getting going on it – and you have to be religious about its use. But it keeps things in good order and really forces you to think in a productive way about everything on your mind! If anybody has experience with the Mac/iPhone “Things” app – let me know what you think. It would be really nice to have the data accessible while on the move. The only option I’ve found for Thinking Rock is not very intuitive, oh, and I no longer use a Windows Mobile device. Now if somebody could just port Thinkingrock to the Android OS… anybody? anybody?? Posted on January 29, 2009 Categories Technology, UncategorizedTags Android, G1, GTD2 Comments on What happend to January? 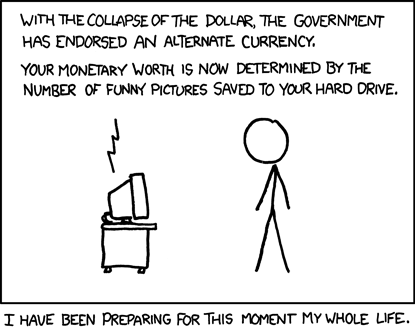 Posted on December 3, 2008 Categories Humor, UncategorizedLeave a comment on I’m rich!